Bitcoin is breaking all sorts of records at the moment, most of them unwanted, and in a few days it will equal a milestone not matched in four years. 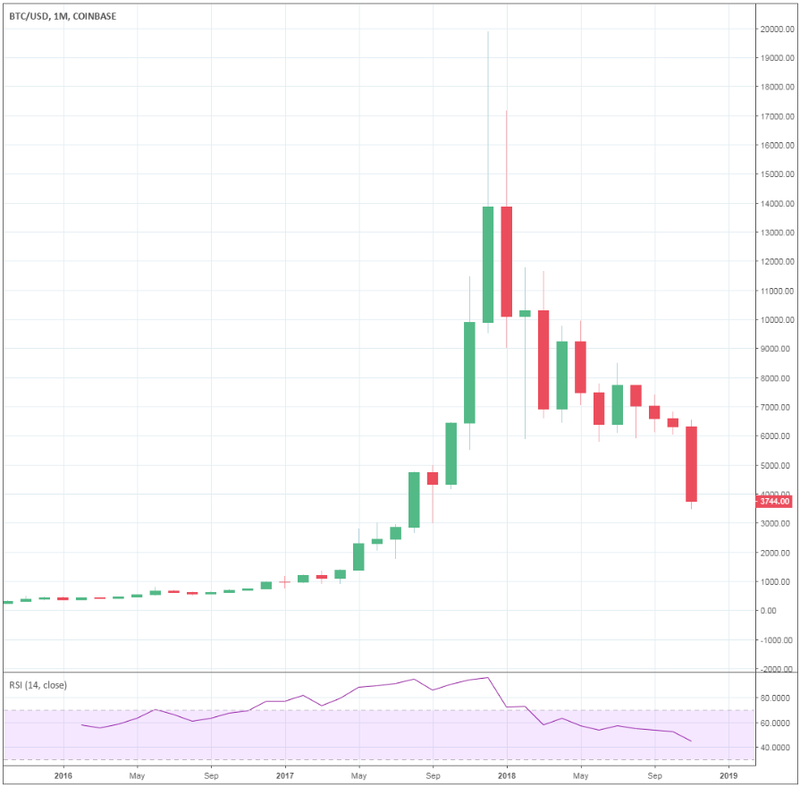 Not since October of 2014 has the price of bitcoin BTCUSD, +5.43% seen four consecutive monthly declines, and a negative close for the month of November, which now seems a foregone conclusion, would match this feat having fallen every month since August, according to Dow Jones Market Data. Just how remarkable is this record? On Oct. 31, 2014, when the prior fourth-month losing streak ended, you could pick up a single bitcoin for $336. After opening November above $6,500, bitcoin is down more than 40%, and since the four-month streak began on Aug. 1, the value of the world’s most famous digital currency has more than halved. 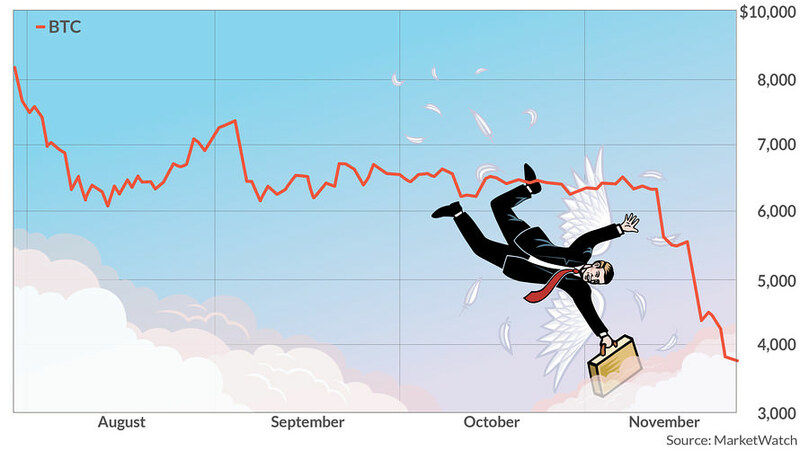 During the four-month period, a number of prominent investors have called their shot at picking the bottom. “I think we put in a low yesterday,” said Michael Novogratz in a Tweet dated Sept. 13, when a bitcoin set you back just over $6,000. On Sept. 30, a survey conducted by Fundstrat Global Advisors found that 44% of investors believe that bitcoin had bottomed, and in an Oct. 4 research note, Fundstrat said 54% of attendees at a private dinner with institutional investors said the worst was over for cryptocurrencies. Now, as the bottom-pickers are getting eaten up, the detractors are louder than ever, promoting their narrative that the crypto industry is nothing but a con job. “This has been an obvious scam that peaked in the period between the end of December 2017 and early January 2018 and has since collapsed. It was so obvious that even I could see it,” wrote financial analyst Wolf Richter in a recent note. On Tuesday, a single bitcoin was fetching $3,729.45. Declining more than 40% is a huge feat, not a good way. More people are giving up on bitcoin. Bitcoin really has outdone itself. Its decline is such a record-breaking result.